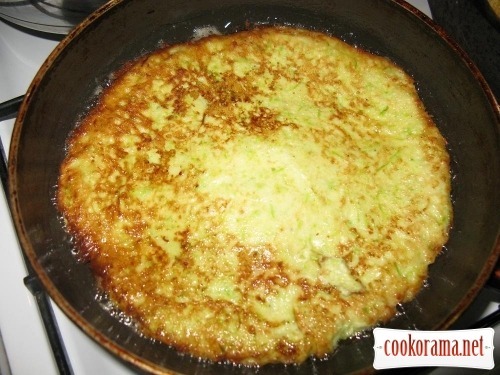 Mix eggs with fork, add grated zucchini, спеції, flour, mix well. 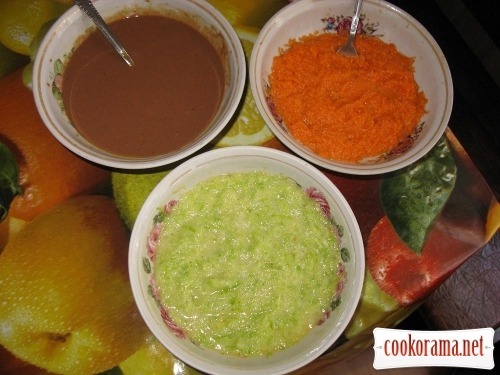 Mix eggs with fork, grind liver in blender, add flour, spices, mix well. 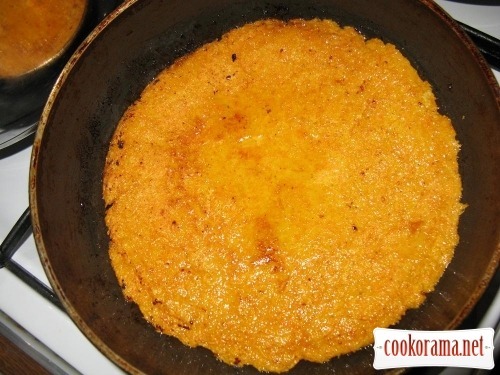 Mix eggs with fork, grate carrot, add flour, spices, mix well. 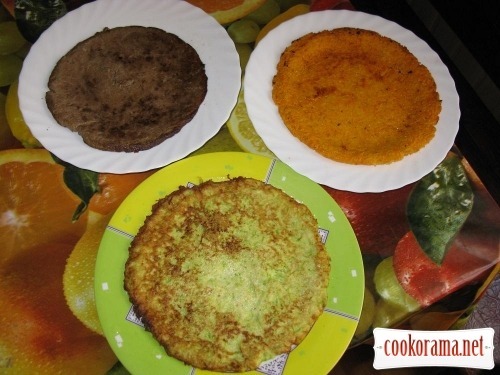 Fry each cake separately, on a medium pan, slightly greased with oil, on a low heat, covered with lid, on both sides until golden brown. 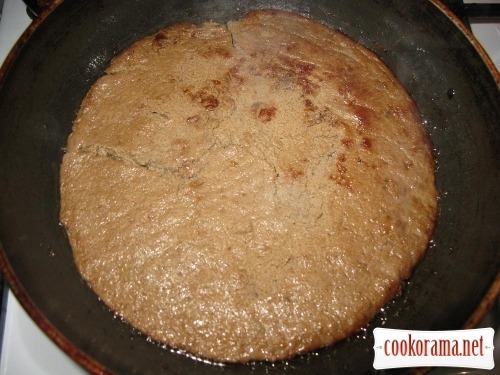 Turn very carefully, mine liver cake broke a little. 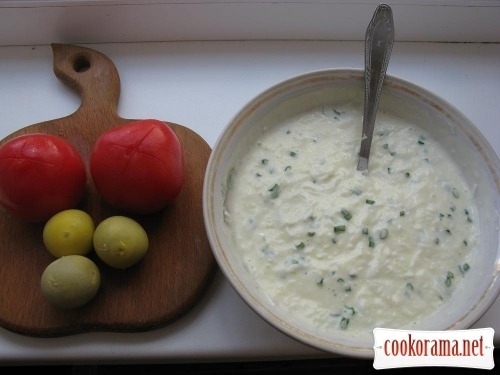 Add chopped garlic, grated whites and greens to mayonnaise. Mix it. Peel tomatoes, pouring with boiling water, slice them. 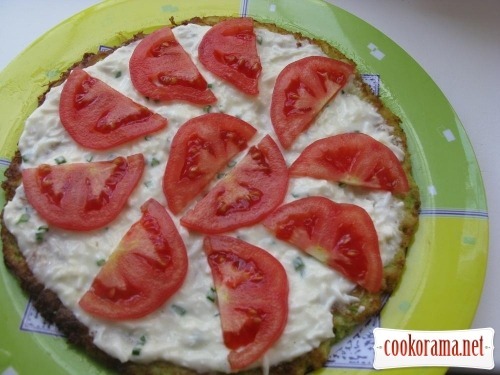 Grease with sauce 1 zucchini layer, spread tomatoes around. 2 liver layer, sauce, tomatoes. 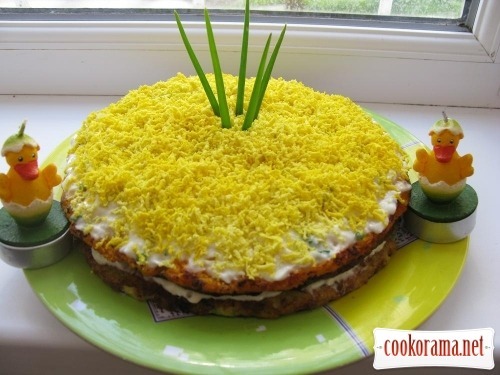 On the top carrot layer, sauce and grated yolks, decorate with greens. 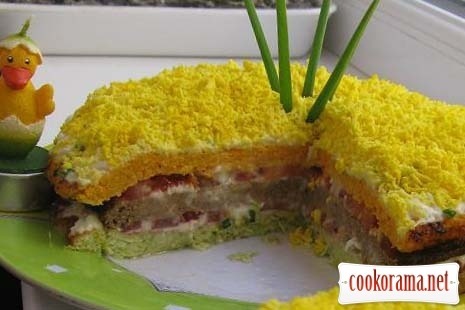 Top of recipe "Vegetable-liver cake"
Ухти, класний рецепт! Машенька, ти сама експерементуєш з рецептами? Дякую всім за увагу, рада що вам сподобалось. Який яскравий! Цікавий рецепт, візьму на замітку. 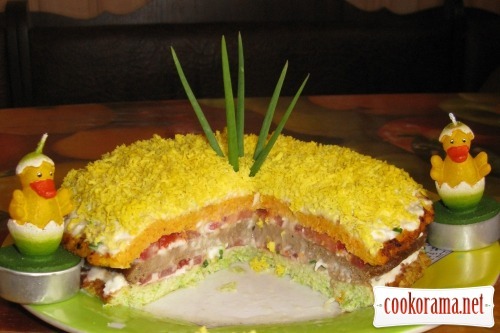 Интересный рецептик )) И фото мне нравится — яркое, сочное!! !